Although the European debt crisis seems to be further from investors’ minds today than it was a year ago, fresh hurdles like the fiscal cliff standoff in Washington, prospective tax changes and a New York City mayoral election loom. 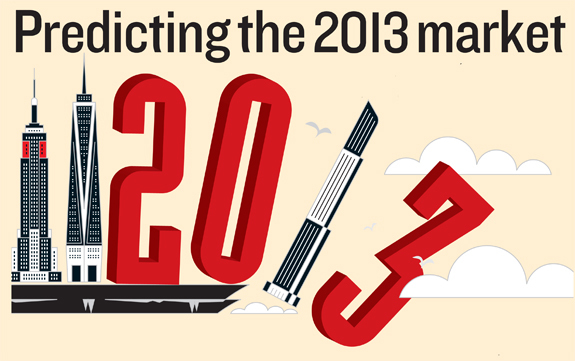 And those are not the only questions that industry pros are pondering as 2013 gets underway. Also on their minds: Will the tech sector continue to prop up commercial leasing? What kinds of housing stock will move — and what will languish on the market? Where will the next wave of retail condo sales take place? And which overall sectors of the market will investors gravitate towards? This month, The Real Deal talked to New York City real estate insiders from several different sectors of the market to get their industry predictions for 2013. 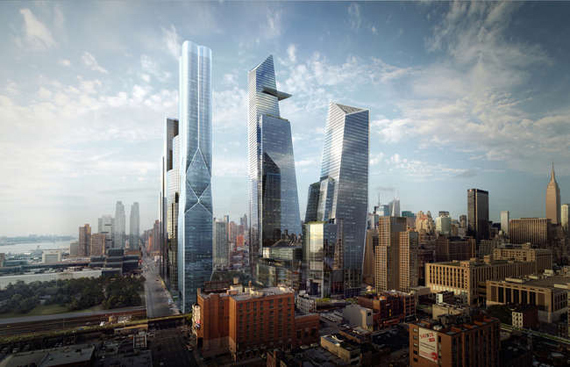 Those who follow Manhattan’s commercial sales market predict that investors will shift their attention this year — and the result could be more new development projects. Indeed, when it comes to buying existing properties, challenges remain: There is too much capital for the number of buildings being sold. And, analysts say, owners are reluctant to sell because they aren’t sure where to invest their funds next. “It’s clear owners prefer owning well-located bricks to owning paper,” said Peter Hauspurg, chairman and CEO of the investment sales brokerage Eastern Consolidated. Still, as investors’ worries about inflation foment, many are scrambling to get capital into the real estate market, and to get projects started with financing at today’s low interest rates, experts said. In 2013, Hauspurg said, the most active sector for investors seeking “high-powered yields” will be condominium development, particularly in the outer boroughs — a shift from the post-Lehman years, when investors rushed to buy up multi-family properties and trophy office assets. While 2012 saw deal volume plummet, industry pros say that commercial leasing could have fared far worse, given that the financial services sector — the motor behind New York City’s office market — shed jobs last year. “There is not a lot of velocity, but at the same time there has not been this great increase in vacancy” in 2012, said Eastern’s Hauspurg, adding that the much-ballyhooed technology sector has picked up the slack. But the major question mark for this year is whether the tech sector will be a lasting economic force. “Is the start-up dynamic going to continue? It all feels very Internet circa 1998,” said Nat Rockett, Executive Vice President at Cushman & Wakefield, of the tech industry’s recent New York leasing spree. He pointed to the fleeting success of some tech companies as cause for continued uncertainty in the leasing market. “I remember six months ago everybody who had space in Soho said, ‘Zynga will take it.’ Now it’s like — ‘Guess what? Zynga doesn’t look like it will survive 2013,’” he said of the online game developer. And while some tech firms have ventured from their preferred Midtown South market (because of the lack of inventory and increased prices there) to find cheaper space Downtown, not all areas are benefiting from the spillover. Rockett, for example, said the tight market in Midtown South has done nothing for submarkets that are suffering, such as the Plaza District. The Manhattan rental market has been white hot for some time. And the high end of the rental market will continue to fare well, thanks to international renters looking for New York City homes. “Tight credit is definitely helping drive the upper end of the rental market,” said Larry Friedman, principal at brokerage AC Lawrence. But at the middle and bottom of the market, renters are increasingly resisting rising rents. “There will be a tipping point where you start pricing people out of the marketplace,” predicted Gary Malin, president of brokerage Citi Habitats. Indeed, the middle and low segments of the rental market are also seeing an increasing number of renters take the plunge and purchasing, given the record-low interest rates. And, as TRD reported last month, Citi Habitats found that rental prices in Manhattan dropped across all apartment types between October and November, and that overall Manhattan rents slid $76 to $3,368 during that time. With a lack of large-scale new rental developments in Manhattan, Malin said he expected new, amenity-rich buildings in the outer boroughs to continue to see strong activity, and noted that there may be more development of that sort as well. “There are nice amenities at a significant discount to Manhattan,” Malin said, pointing to new rental construction in Brooklyn and Queens. But, generally, expect more of the same in the rental market next year, real estate executives said. “I think the vacancy rate will hover right around where it is, and concessions will continue to play the same role they’ve been playing” — that of a marketing tool for new buildings — not a financial incentive landlords feel they must provide, Malin said. Some sectors of the residential sales market could falter next year as foreign and domestic buyers seek different products from one another, sources say. That desire for different types of housing will intensify a growing chasm between the market for new construction — which often appeals most to foreign buyers — and for townhomes and co-ops, said Frederick Peters, president of Warburg Realty. In 2013, expect tonier co-ops to sit on the market, as sellers emboldened by headlines about rising prices in New York City list their homes for ever-higher sums, Peters said. “We’ve seen a lot of major inventory sit … because buyers are not willing to throw money at it unless they think it’s spectacular,” he said. CORE broker Michael Graves said he expected inventory to increase. But in the wake of the Presidential election and once the fiscal cliff is resolved — no deal had been reached at press time — sellers will be more likely to pull the trigger, he said. “We will see a healthier dose of inventory in the first and second quarters [first],” Graves predicted. Not everyone agreed with that assessment, however. Miller predicted that supply will likely remain constrained, which will lead to modest price appreciation. International buyers are not going anywhere either, Miller said, which could also buoy prices. “For all our problems [New York City’s market is] the lesser of all evils, and I see that continuing in 2013 because what’s driving [buyers here] doesn’t have a short-term solution — a softening economy in China and an economic bubble in South America,” he said. Given those factors, additional super-luxury developments are rising, as the development community salivates over moneyed foreigners. “You may see more One57s and 432 Park [Avenues],” Miller said, referring to Extell Development’s under-construction tower on West 57th Street and to the residential project that the CIM Group and developer Harry Macklowe just broke ground on. Last year was a strong year for Manhattan retail with big retail condo sales and rising rents. And some say that momentum is not likely to let up this year. “[This year] is only going to get better,” said Kelly Gedinsky, a broker with Winick Realty, noting that rents climbed by as much as 30 percent quarter over quarter on certain retail strips in 2012’s third quarter, the most recent data available at press time. Prices surged mostly in prime locations like Madison and Fifth avenues as well as in Times Square, Herald Square, the Meatpacking District and Soho. And Gedinsky predicted that those high rents will spill over to nearby side streets. In the Meatpacking District, more tenant interest has already been focused on Little West 12th and West 13th streets as retailers have moved beyond 14th Street. The same is true in Soho for Mercer, Greene and Wooster streets, where activity has been boosted because there are so few vacancies along Spring and Prince streets, she said. But Gedinsky said she expected to see more side streets adjacent to busy retail strips benefit from this spillover trend this year. But even as rents and activity rise in certain areas, others — notably along Second Avenue on the East Side, where the construction of the subway has killed activity for some time now — are stagnant or dropping, brokers said. Areas where revenues are not driven by tourism could suffer from ongoing depressed rents, said Jedd Nero, a retail broker with the CBRE Group. “When there is a blip, it’s the local players who bleed faster,” he said. Meanwhile, on pricey Fifth Avenue, a number of large blocks of space are coming to market next year. At Thor Equities’ 520 Fifth, about 77,000 square feet is due to come online, and at Crown Acquisitions’ 530 Fifth, about 42,000 square feet should be available, Nero said. He predicted that retailers might end up sharing the spaces in unconventional arrangements, since there aren’t that many tenants interested in such large blocks of space. WILLIAMSBURG — When real estate agent Eugene Litvak advises landlords in the winter months, he gives them a surprising tip — don’t make the rent price your main concern. “I say your No. 1 priority should be trying to get [the lease renewal] into the summer months, not to get the most rent,” said Litvak, senior vice president at Citi Habitats, who encourages landlords to strike 18-month lease agreements with tenants. Litvak and other real estate agents said the slow winter market tempts landlords citywide to offer incentives like lower rents, waived broker fees and even a free month’s rent to tenants willing to take 18-month leases. And while some brokers said the deal is still uncommon, others noted that the trend is growing as more landlords learn of its advantages. “I’m seeing it more now, because as more information becomes available about the market, landlords and owners are becoming more aware,” said Mark Menendez, executive vice president at Douglas Elliman. For renters, the option can provide an opportunity — or a future frustration. “It’s really good for the owner,” said Vik Kukar, senior vice president at Charles Rutenberg Realty, admitting that the lease timing has pros and cons for tenants. Tenants should be prepared for more dramatic rent increases when their leases are up for renewal in the summer months, Kukar said, since demand for rentals always increases in the spring and summer. For Tony Moon and his housemate, however, signing an 18-month lease for their new Williamsburg apartment made the most sense. “We went with the 18-month lease because we didn’t want the rent to be raised on us after one year,” said Moon, 29, an architect who has lived in the city the past four years and moved this winter into a renovated apartment on Meserole Street. Moon said that if he decided to move out in the spring of 2014, he imagined there would be more apartments on the market than in the winter. But Litvak said the winter offers the best deals for renters. “At The Edge, the prospective tenant we’re trying to capture is for 18 months,” he said of the high-end condo on the Williamsburg waterfront where he lives and handles leases. Kukar said the throngs of new renters during the spring and summer include recent college graduates with new jobs, doctors entering their residencies and families trying to place their children in certain public schools. Plus, the warmer weather encourages people to browse apartments, he said. Welcome back to Curbed Comparisons, a column that explores what one can rent for a set dollar amount in various New York City neighborhoods. Is one man’s studio another man’s townhouse? Let’s find out! Today’s price: $2,900/month. ↑ We begin this week’s tour of Manhattan and the cool parts of Brooklyn on the Upper West Side, where this 700-square-foot 1BR with lofted storage space is available for $2,800/month. It also includes a small balcony with views of some vine-covered trees. ↑ In Greenpoint, this 803-square-foot 1BR is around five years old and costs $2,900/month. The kitchen looks fancy. ↑ In this Greenwich Village 1BR, all of the rooms appear to be decent-sized, which is a big plus. It also has four windows and costs $2,850/month. ↑ On the Lower East Side, a newly construction, 638-square-foot 1BR is available for $2,800/month. There are a bunch of closets and a cute little butterfly painting on one of the walls. ↑ Two fairly homey looking bedrooms in Park Slope can be yours for $2,800/month. The apartment features a fireplace, a washer/dryer, and some exposed brick. ↑ We conclude back in Upper Manhattan, this time on the Upper East Side, with a 600-square-foot 1BR in the Impala, which offers a whole bunch of building amenities. $2,800/month. From left: WTC, the cast of MDLNY (top), the dangling crane atop One57 (bottom) and Barclays Center. In 2012, One57 rose, and Dewey & LeBoeuf collapsed. The World Trade Center topped out, and Manhattan Apartments bottomed out. The Barclays Center brought stars to Brooklyn, and Bravo TV made celebrities of a trio of telegenic brokers. Read on for our choices for the top 10 real estate stories of the year. The so-called “superstorm” that bore down on New York City in the early morning hours of October 29 killed more than 100 people along the Eastern seaboard — 43 in New York City alone — damaged or destroyed nearly 400,000 homes in the tri-state area, and left millions without power and basic services. Hurricane Sandy also dealt an unprecedented blow to the city’s public infrastructure — causing the longest weather-related shutdown in the history of the subway system. Parts of Staten Island and the Rockaways were among the city’s hardest hit residential neighborhoods. And in Lower Manhattan, Sandy shuttered as much as 35 million square feet of downtown office space. Six weeks on, some 11 million square feet of downtown office remained closed, according to figures compiled by the real estate services firm Jones Lang Lasalle. (Despite the flooding experienced in New York’s coastal neighborhoods, Mayor Bloomberg remains a proponent of developing the city’s waterfront.) Among the most enduring images of the storm: the crane that was being used to build Extell’s luxury residential tower One57 — broken and dangling precariously above Midtown. Not since architect Robert A.M. Stern’s neoclassical tower rose at 15 Central Park West has an apartment building created such a buzz. But One57, the glassy condo tower going up at 157 West 57th Street, is poised to become as instantly iconic as its limestone neighbor. Designed by the Pritzker Prize-winning architect Christian de Portzamparc, the Extell Development project overlooking Central Park has been billed as a “billionaires’ club,” due to the sheer number of building buyers who rank among the world’s wealthiest individuals. In February, Extell launched sales, and there are reportedly now more than $1 billion worth of condominiums currently under contract at One57. The two penthouses — one 11,000-square-foot apartment on the highest floor and another, even larger unit with a glass-screened terrace a few floors below — are both under contract for upward of $90 million, making them the priciest New York City homes ever sold. The building’s first 30 stories will be a Park Hyatt Hotel. 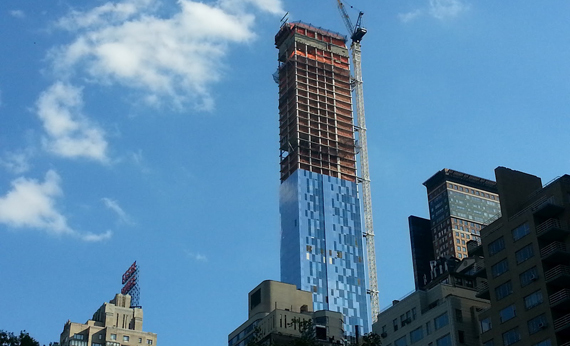 The 60 top floors will be luxury condos, which are expected to begin closing late next year. Real estate observers said they do not expect that the high-profile crane collapse at the construction site to deter buyers. Brooklyn hadn’t had a major league sports team since 1957, when the Dodgers decamped for Los Angeles. 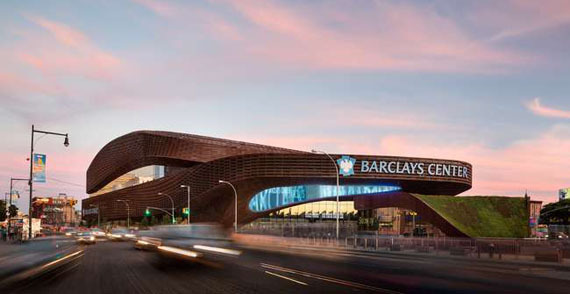 The Barclays Center, an 18,000-square-foot SHoP Architects-designed arena that opened in September in Prospect Heights, has changed that. The Nets, the NBA team formerly of New Jersey, opened their season at Barclays as the rebranded Brooklyn Nets. And in October, the NHL’s Islanders announced that they would be moving to the borough, from Long Island, in 2015. The arena, a major component of Forest City Ratner’s long-awaited Atlantic Yards project, gives the city another large concert venue; Jay-Z, Barbra Streisand and Leonard Cohen have all performed there since it opened. And already, real estate brokers have reported the stadium influencing demand for retail space in the surrounding area. Late this year, ground was broken nearby on Atlantic Yards’ first residential tower, which will rise 32 stories and house 181 below-market-rate units and 182 market-rate apartments. The developer plans to use modular construction on the 11 residential buildings planned for the site. For years after the September 11 terrorist attacks, ground zero was little more than a hole, quite literally, in the heart of Lower Manhattan. But the site where nearly 2,800 people died in the worst terrorist attack on American soil is coming back to life. 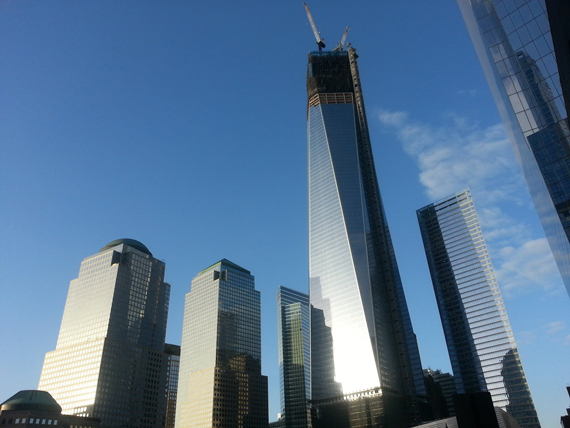 The centerpiece of ground zero’s glassy new towers is 1 World Trade Center, which rises a symbolic 1,776 square feet. The building topped out in August, and its 408-foot spire was lifted to the top of the building in December. Leasing at the World Trade Center complex was generally slower this year than it was in 2011, when the publishing giant Condé Nast signed for 1.1 million square feet at 1 World Trade Center. The most notable World Trade Center lease this year was that of the U.S. General Services Administration, which in July agreed to take 270,000 square feet — a long-awaited deal that brings the 1 World Trade to more than 50 percent full. Read The Real Deal’s comprehensive report on World Trade Center leasing here. The network that transformed housewives into “Housewives” is turning New York real estate agents into celebrities, too. 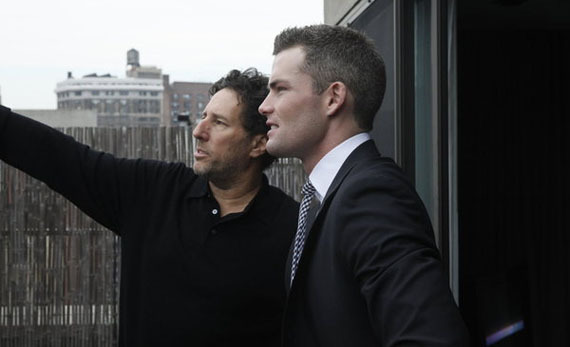 Bravo’s “Million Dollar Listing New York” premiered March 7, and almost immediately made stars of Nest Seekers International’s Ryan Serhant, and Douglas Elliman’s Fredrik Eklund and Michael Lorber. The first season followed the telegenic salespeople as they navigated Manhattan’s luxury real estate market — the demanding clients, the competition for listings and the challenges of selling apartments in a building that is still under construction. The show hasn’t just raised the agents’ profiles; it has increased the demand for their real estate services, forcing them to grow their teams and hire on new agents. Bravo has green-lit a second season of the show. It will star Serhant, Eklund and, for the first time, Keller Williams NYC’s Luis D. Ortiz; Lorber, the son of Elliman Chairman Howard Lorber, will not appear in the second season, sources told The Real Deal. Nearly three decades after it was founded, Manhattan Apartments, long one of New York City’s largest rental brokerages, shut its doors this year. At its peak, the company had some 250 agents. Its closure comes amid financial and legal troubles for the Midtown-based firm, founded and run by the charismatic Jerry Weinstein. By late this year, though, sources told The Real Deal that Weinstein’s company hadn’t paid agents in months and that it “owes millions” to other firms and to its former salespeople. Manhattan Apartments’ remaining agents were offered spots at another rental-focused brokerage, AC Lawrence — a division of the Bellmarc Group. In addition, AC Lawrence took over the 11,000-square-foot lease at the former Manhattan Apartments headquarters, located at 729 Seventh Avenue, near Times Square. AC Lawrence’s decision to take on Manhattan Apartments’ agents and space ends a long-running legal dispute between the two companies over a business relationship gone bad. On Dec. 12, The Real Deal broke the story of Manhattan Apartments’ closure. 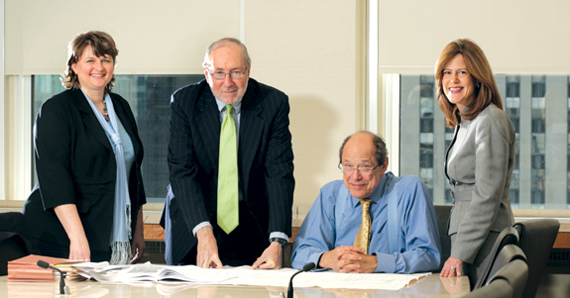 From left, Jared Kushner of Kushner Companies, Vornado’s Steven Roth and 666 Fifth. Five years after the Kushner Companies paid $1.8 billion for the office tower at 666 Fifth Avenue, the company in July sold the building’s remaining retail condo to Vornado Realty Trust for a whopping $707 million. That sale came about a year after the Spanish fashion company Inditex paid $324 million for the building’s other retail condo. While the Kushner Companies, which owns 51 percent of 666 Fifth, is thought to have made up to $120 million in the Vornado retail sale, the office portion of the building has accrued operating losses of $200 million, an analysis by The Real Deal showed. In August, The Real Deal published a scorecard of who won and who lost in the Vornado retail deal, as well as a timeline of major developments at the property since its 2007 sale to Kushner. The Bloomberg administration wants more office towers near Grand Central Terminal. And in a move that could transform the city’s skyline, the Department of City Planning in July unveiled a proposal to rezone portions of Midtown East. 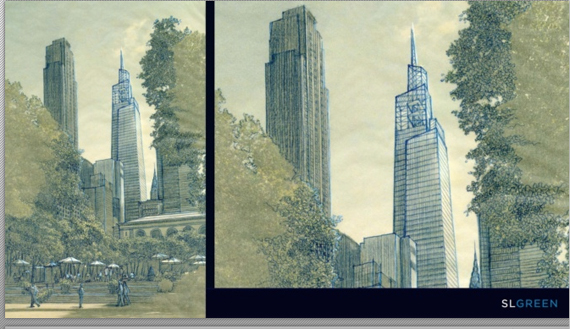 Under the plan hailed by the Real Estate Board of New York and viewed with skepticism by some preservationists, developers could build taller and bulkier structures than are currently permitted. Earlier this month, office landlord SL Green unveiled renderings of its planned 1.6-million-square-foot office tower in the neighborhood, called 1 Vanderbilt. As The Real Deal reported, the rezoning would require larger developers to negotiate complex deals with smaller firms in order to assemble parcels with a large enough footprint on which to build. 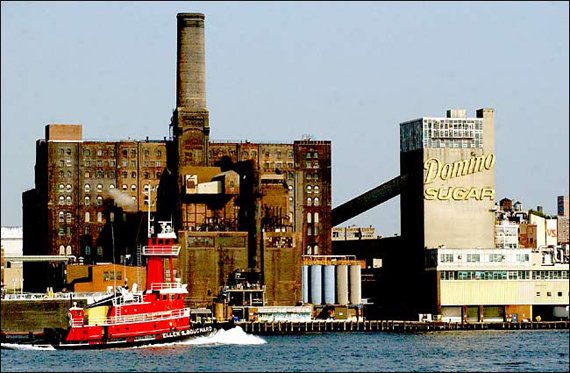 Two Trees Management, the firm known for bringing luxury housing and cachet to Dumbo, reached a deal in June to purchase the former Domino Sugar refinery along the Williamsburg waterfront for $185 million. CPC Resources sold the 11-acre property, eight years after it bought it with the intention of building a $1.4 billion mixed-use development that included hundreds of affordable housing units. Two Trees is reportedly seeking major design changes to CPC’s proposal, and the company has yet to say the extent to which its plans would include affordable housing. The developer, which owns or manages some $3 billion in residential and commercial properties, according to Crain’s, recently began meeting with community members to get feedback on the site’s redevelopment. In May, hundreds of millions in debt, Dewey & LeBoeuf — once a major force in New York real estate law — filed for bankruptcy. Its Chapter 11 filing marked a dramatic end for the firm, which at its peak employed some 1,400 lawyers, including dozens in its real estate practice. Even before the bankruptcy, there were signs of trouble. Nearly all of its real estate attorneys, including Stuart Saft, the prominent head of its global real estate practice, had left the company for other firms. Dewey’s downfall, sources told The Real Deal, was its practice of recruiting new partners with guaranteed seven-figure salaries; when the economy tanked and transaction volume declined, that payroll proved unsustainable. The firm had nearly 500,000 square feet at 1301 Sixth Avenue; some of that space has since been leased by the law firms Chadbourne & Park and Fragomen. Hudson Yards breaks ground on its first tower; the leather purveyor Coach signs on to become that building’s anchor tenant. … Construction begins at 432 Park, which when completed will eclipse One57 as the city’s tallest residential tower. Ekatarina Rybolovleva, the daughter of a Russian billionaire, closes on Sanford Weill’s $88 million 15 Central Park West apartment… 18 Gramercy Park marks another success for the developers behind 15 Central Park West. … In the closely watched Brompton case, an appeals court interprets the Interstate Land Sales Disclosure Act in favor of the Related Companies. … A block from One57 Extell plans another major residential tower, where New York City could get its first Nordstom … New York Attorney General takes legal action against the former National Arts Club head. … Rushmore buyers receive some $15 million in payouts before an escrow agent stops payment. … New York City gets its first $100 million apartment listing.